Home>News of Metal Industry > How long will the base metals – Trump love affair last for? How long will the base metals – Trump love affair last for? Last week was exciting to say the least; the unexpected US election result saw the metals market become incredibly volatile. All base metals at some point last week reached year-to-date highs on the London Metal Exchange (LME). 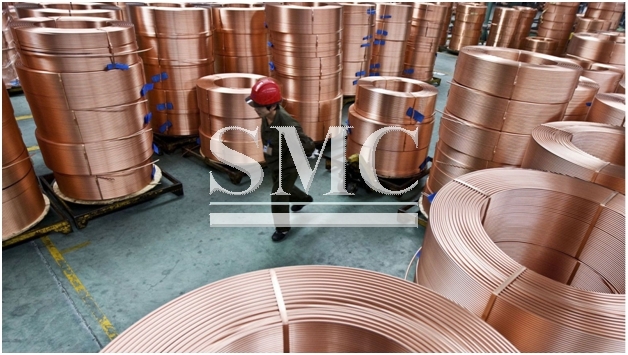 Copper and nickel performed better than their complex, climbing an extraordinary 11.6% and 7.2% respectively, whilst all other base metals saw gains between 1 and 2%. This week, most base metals are still enjoying an upwards slope on the LME, albeit at a lower rate than last week, nickel is the only base metal to be in negative territory down by 0.4%. In Shanghai, base metals are mixed, with the complex down 0.7% on average. Lead, appreciating 1.3%, performs the strongest, while tin and nickel, selling off 3.6% and 3.0% respectively, are the worst performers. Base metals may witness some downward pressure the days ahead, principally because many experts believe investors last week reacted too aggressively to Trump’s surprise victory in the US elections. Still, they do not believe that this bout of profit-taking may last too long as a result of buying on the dips from investors willing to play the “reflation” trade for longer. Because copper climbed exponentially in an unsustainable manner last week, we view it is as the most vulnerable on the downside, especially considering its particularly overstretched spec positioning.